Witt Kynar® PVDF liners have a tremendous chemical resistance to a wide range of aggressive chemicals. 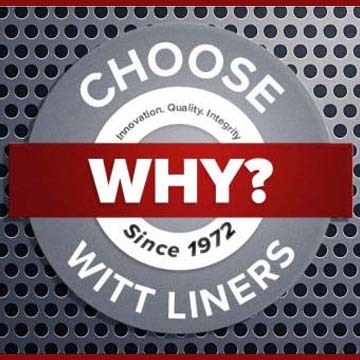 These liners have outstanding UV resistance, abrasion resistance and a high temperature rating. A lightweight liner for the most aggressive chemical applications. 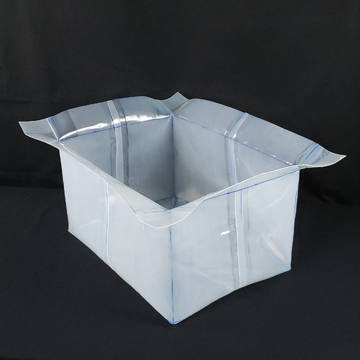 Besides great chemical resistance, Kynar PVDF liners have a high temperature range of up to 190°F. They also have excellent abrasion resistance and UV resistance. Kynar has a very high purity level, making it an excellent choice for the most demanding applications. Resistant to a range of aggressive chemicals. Highly resistant to UV Exposure. Doesn’t introduce contaminants to solution.